A fabulous sauvignon from the Rapaura district, the intensely aromatic bouquet shows passionfruit, white stone fruit, lemon peel and Kaffir lime characters. The palate is concentrated and powerful, and delivers excellent fruit purity and vibrancy, wonderfully enhanced by refreshing acidity. At its best: now to 2020. $20.00. www.mudhouse.co.nz. Sept 2017. From the renowned Claim 431 Vineyard in the Bendigo district, the wine is beautifully lifted on the nose showing dark cherry, plum, toasted nut and mushroom characters with a hint of game complexity. The palate is ripe, rounded and supple, and delivers delectable fruit notes together with silky texture and savoury nuances, leading to a lingering fine finish. The wine is flavoursome and immediately appealing with plenty of tasty flavours. At its best: now to 2020. $26.00. Aug 2017. Consistently excellent, this 2013 wine is another gorgeous offering from this outstanding producer. Aromas of dark berry, game, truffle, thyme and almond lead to a generously fruited and richly textured palate that offers engaging savoury complexity. Wonderfully styled and immensely appealing. At its best: now to 2023. $45.00. www.mishasvineyard.com. April 2017. Exquisitely composed, perfectly poised and impeccably structured, this is an exceptional wine that wine lovers of Yalumba have been waiting for 168 years. The compelling bouquet shows dark fruit, cocoa, clove, bay leaf, almond and violet aromas with nuances of black olive and truffle. The oak infusion is discreet and seamless. It is concentrated and beautifully weighted on the palate, and exhibits silky texture, fleshy mouthfeel and loads of fine, polished tannins. The wine is pristine, yet spectacularly complex, and flows effortlessly through the palate, gradually expanding to a gloriously long, engaging finish. 2012 The Caley is a blend of Coonawarra cabernet sauvignon and Barossa shiraz, matured in new and seasoned French oak barrels for 22 months. At its best: 2022 to 2042. $395.00. www.yalumba.com. NZ Distributor: Negociants NZ. May 2017. This latest offering lives up to its billing as one of the country’s most consistently outstanding reds. Notes of dark fruit, espresso, mocha, clove and cedar lead to a concentrated palate that is filled with succulent fruit flavours and spicy nuances, together with silky texture and rounded tannins. Plump, fleshy and undeniably gratifying, this is elegantly opulent and offers sophistication and refinement. At its best: 2023 to 2038. $55.00. www.yalumba.com. NZ Distributor: Negociants NZ. May 2017. From a small-cropping year, this latest offering shows excellent concentration and poise. The familiar satisfying aromas of white stone fruit, rockmelon and almond with subtle vanilla complexity on the nose. The palate shows excellent focus and weight, brilliantly structured by bright acidity. Youthful, elegantly expressed and instantly appealing. At its best: now to 2023. $32.00. www.kumeuriver.co.nz. Oct 2016. As with all other Kumeu River wines, this is impeccably composed and elegantly expressed, showing nectarine, acacia, lemon peel and yeasty notes on the nose. The palate is superfine and beautifully weighted with creamy mouthfeel and elegant fruit intensity, wonderfully enhanced by subtle savoury nuances and perfectly pitched acidity. Very long and engaging, and hugely appealing. Grapes were hand harvested, whole bunch pressed, fermented using indigenous yeasts; then secondary fermentation in the bottle with 30 months on lees; disgorged by hand. $50.00. www.kumeuriver.co.nz. Oct 2016. A gorgeous sauvignon from the Rapaura district, the intensely fragrant bouquet shows nectarine, rockmelon, feijoa and lime zest characters, leading to a concentrated palate that is succulent and flavoursome. The wine offers pristine fruit flavours together with silky texture and refreshing acidity, finishing superbly long and vibrant. At its best: now to 2019. $20.00. www.mudhouse.co.nz. Nov 2016. From the Grovetown district, this delectable pinot gris offers lifted aromas of yellow stone fruit, poached pear, mandarin and floral on the nose, followed by a succulent palate that is generously expressed and richly fruited, while remaining elegant and poised. The wine is immediately appealing with plenty of tasty fruit flavours. At its best: now to 2019. $20.00. www.mudhouse.co.nz. Nov 2016. From the Burleigh district in the Wairau Valley, this friendly rose shows white stone fruit, ripe citrus and red cherry aromas on the nose. The palate is juicy and silky, and displays attractive fruit intensity and fine texture, backed by refreshing acidity. At its best: now to 2018. $20.00. www.mudhouse.co.nz. Nov 2016. Grapes from the Omaka district were used for this charming chardonnay. Fragrant aromas of white stone fruit, rockmelon, lemon zest and subtle vanilla lead to a succulent palate that is beautifully rounded and creamy. The wine is elegantly expressed and delightfully drinkable. At its best: now to 2018. $20.00. www.mudhouse.co.nz. Dec 2016. 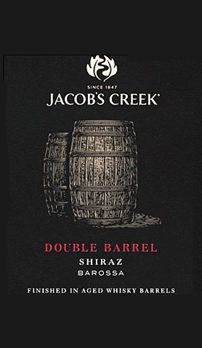 Brilliantly priced, this is beautifully ripe and fragrant on the nose displaying red/black cherry, smoked game, spice and cedar characters, leading to a silky-smooth palate that is elegantly weighted and finely textured. The wine offers appealing ripe fruit flavours and subtle savoury complexity, finishing long and pleasingly dry. From the Upper Wairau Valley. At its best: now to 2019. $20.00. www.mudhouse.co.nz. Nov 2016. The wine combines power and grace, and offers loads of attractive flavours. Fragrant aromas of black/blueberry, mixed spice, mint chocolate and vanilla lead to a beautifully rounded palate that offers superb fruit richness and intensity, leading to a sustained, pleasingly dry finish. Impressively fruited and wonderfully structured. At its best: now to 2024. $26.00. NZ Distributor: Procure. www.procureliquor.co.nz. May 2016. The wine combines New World vibrancy with classic Burgundy elegance and complexity. Notes of stone fruit, rockmelon and floral with nuances of oatmeal, vanilla and flint lead to a concentrated palate that delivers outstanding mid palate weight and rich texture. This is symphonic and immensely attractive, and it should develop to show greater complexity and extra dimension with time. A wonderful collision of exquisite style and exceptional quality. At its best: 2016 to 2024. $35.00. Certified organic. 340 cases made. www.twrwines.co.nz. Nov 2015. A beautifully styled pinot; aromas of dark cherry, violet and game with nuances of truffle and dried herb notes on the nose. The palate is concentrated and richly textured, and delivers refined mouthfeel as well as impressive power, beautifully wrapped in plenty of supple tannins. Seamless, engaging and promising. Grapes were sourced from their estate vineyard in Renwick and Rawiri Vineyard in the Omaka district. At its best: 2016 to 2024. $45.00. www.twrwines.co.nz. Click here to read notes on other releases. Like a beautifully carved sculpture, this has perfect symmetry and balance. Three Bordeaux grapes work in harmony, although you know who is really in charge. The presence of cabernet sauvignon, ‘The King of Grapes’, is immediate but doesn’t dominate, as the wine is filled with layers of intrigue and fabulous flavours. This is grown-up rather than groovy. Power and elegance, with classic flavours of cassis, cigar box, mixed spice and cedar with a whisper of tanned leather. It is silky and flowing with an elegant weight, stylishly framed by fine, chalky tannins. What a treat having a top-notch wine with bottle age. At its best: now to 2025. $50.00. www.pask.co.nz. June 2015. Charming and sumptuous, this multifaceted cabernet is packed with blackcurrant and dark plum characters as well as beautifully infused cedary oak and dried sage complexity. It is concentrated and plush on the palate with plenty of grainy tannins, providing excellent structure and finish. Great line and length. At its best: 2020 to 2032. $44.00. Click here for vertical tasting notes on Howard Park wines. NZ Distributor: Eurovintage www.eurovintage.co.nz www.burchfamilywines.com.au April 2015. Very cabernet, very Coonawarra, very delicious. Fragrant aromas of cassis, dark plum, floral, mint chocolate and cedar notes lead to a succulent palate that is focused and beautifully weighted with silky texture and supple tannins. There is a whisper of smoky, spicy notes adding to the appeal and intrigue of this stylish cabernet. The wine was matured in French and American oak for 12 to 18 months, then 12 weeks in Irish Whiskey barrels. At its best: now to 2020. $25.00. NZ Distributor: Pernod Ricard NZ. April 2015. The wine shows gorgeous aromas of blackberry, vanilla, clove and cocoa on the nose, followed by a concentrated palate that is velvety and rounded with plush tannins providing excellent frame and structure. Beautifully harmonious and immensely appealing. The wine was matured in French and American oak for 12 to 18 months, then 12 weeks in Scotch Whisky barrels. At its best: now to 2020. $25.00. NZ Distributor: Pernod Ricard NZ. April 2015. A wonderful example of pinot showing both power and elegance. The fragrant bouquet shows complex aromas of red/blackberry, floral and spice with a whisper of cedary oak notes. It is concentrated and finely textured, and displays excellent mid palate weight and richness, brilliantly framed by fine, silky tannins. Generous and flavoursome, and destined to evolve graciously. At its best: now to 2022. $45.00. www.foldinghill.co.nz. April 2015. Tongue in Groove is no longer a ‘new kid on the block’; it is a formidable producer of outstanding wines, year after year. This latest offering combines vibrancy with sensuality, and delivers loads of pleasing flavours. Beautifully perfumed with stone fruit, floral, mandarin and a hint of honey on the nose. The palate is concentrated and finely textured with subliminal sweetness backed by bright acidity. Delightfully refreshing and immensely enjoyable already, this is a brilliantly structured riesling with a promising future. At its best: now to 2023. $28.00. www.tongueingroove.co.nz. April 2015. This is wonderfully pure; lifted notes of dark cherry, raspberry, plum and floral, together with spice and dried herb nuances. The palate is succulent, rounded and silky, and offers excellent weight and intensity, beautifully supported by plenty of polished tannins. The wine flows seamlessly to an impressively long finish. At its best: now to 2023. $45.00. www.tongueingroove.co.nz. April 2015. This engaging pinot comes from the dark side of the most seductive places. Gorgeous aromas of dark fruit, game, spice and truffle fill the nose with subtle background notes of bouquet garni. It is concentrated and expansive with velvety texture and layers of delicious flavours. Tannins are fine, chalky and in abundance, providing classic structure to this compelling wine. At its best: now to 2025. $45.00. www.tongueingroove.co.nz. April 2015. There are many excellent alternative-style sauvignon blancs. This is the best of them all. Made from free-run juice with full solids, fermented in mainly large 400-litre seasoned oak barrels using indigenous yeasts, the wine is symphonic and glorious. Powerful and astonishingly complex, notes of white nectarine, ripe citrus, lime zest and nuances of dried herb and flint lead to a richly flavoured palate that offers outstanding weight and concentration, brilliantly supported by silky texture and firm acidity. A compelling wine of exceptional line and length. At its best: now to 2028. $60.00. www.foxes-island.co.nz. March 2015. Champion Shiraz/Syrah and Champion Wine of the Show at the 2014 Spiegelau Wine Competition, this is a hugely promising syrah. The wine exhibits outstanding fruit purity with elegant complexity - black plum, blueberry, smoke and cedar. It's concentrated and refined on the palate showing gorgeous fruit weight and velvety texture, and finishes superbly long and smooth. Supple tannins provide excellent structure and length. At its best: 2015 to 2023. $34.00. www.elephanthill.co.nz. June 2014. This is a quintessential Ata Rangi pinot that we know and love, exhibiting sensuality with seductive power. The bouquet is engaging and most appealing with aromas of dark cherry, plum, dried herb and floral with a touch of almond. It's supremely elegant yet intense and persistent. The wine shows seamless mouthfeel and texture, within a frame of fine/firm tannins. At its best: 2015 to 2025. $75.00. www.atarangi.co.nz. Aug 2014. Stylish and soothing, this satisfying pinot shows fragrant aromas of red/black cherry, blueberry, game and spice. The palate is refined and silky, beautifully supported by gorgeous fruit intensity with supple tannins. The wine shows harmony and sophistication, and is immensely appealing already. Grapes were grown on their Terra Sancta vineyard on Felton Road; fermented with about 15% whole clusters. Sub-region: Bannockburn. At its best: now to 2021. $35.00. www.terrasancta.co.nz. July 2014. Peter Nixon, Business Manager – Fine Wine Marketing, Dan Murphy’s, Australia.